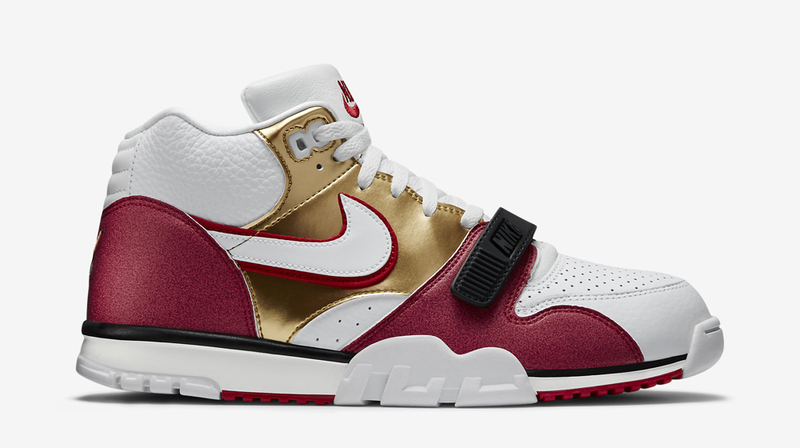 This Nike Air Trainer 1 pays tribute to NFL legend Jerry Rice, referencing both his 49ers tenure and his upbringing. 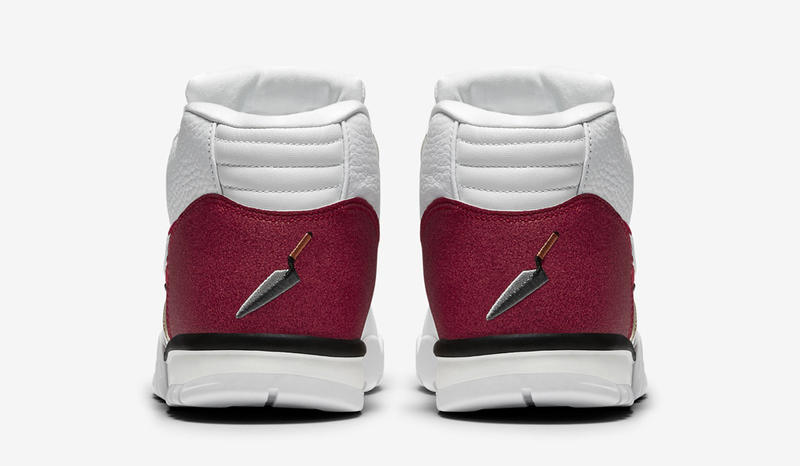 The colorway in place obviously takes care of the 49ers thing, while the the trowel embroidery on the back and the brick graphics on the insoles nod to his father, a bricklayer. The legend goes that Rice developed his hands while helping his father out on job sites by catching bricks that were tossed around. 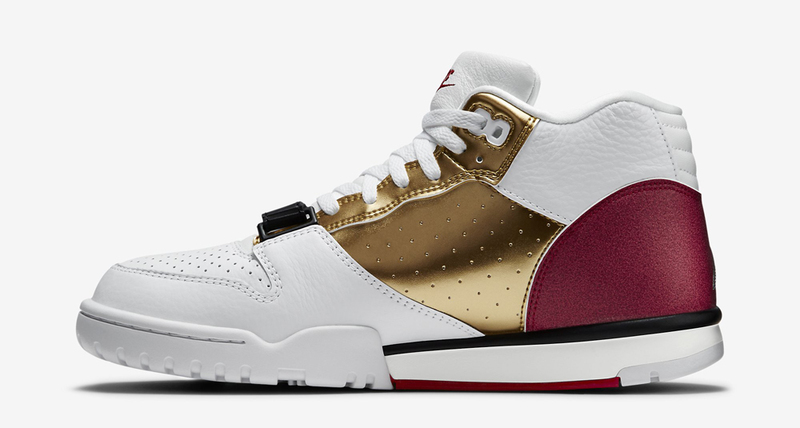 Sneaker release date information for the Jerry Rice Nike Air Trainer 1 has the shoe releasing on May 1 at Shoe Palace. 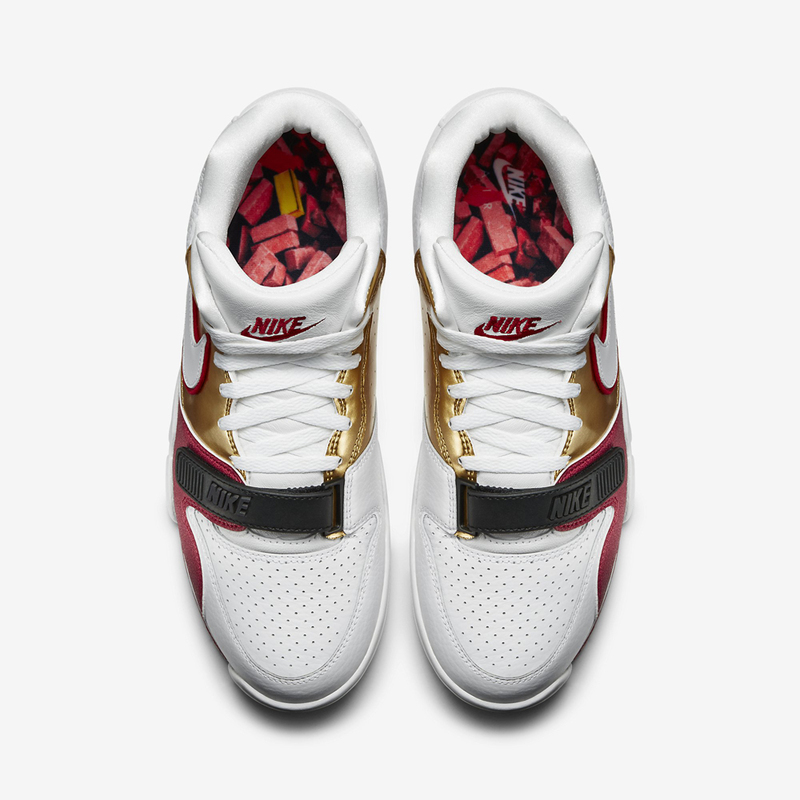 A wider launch via Nikestore online should follow. 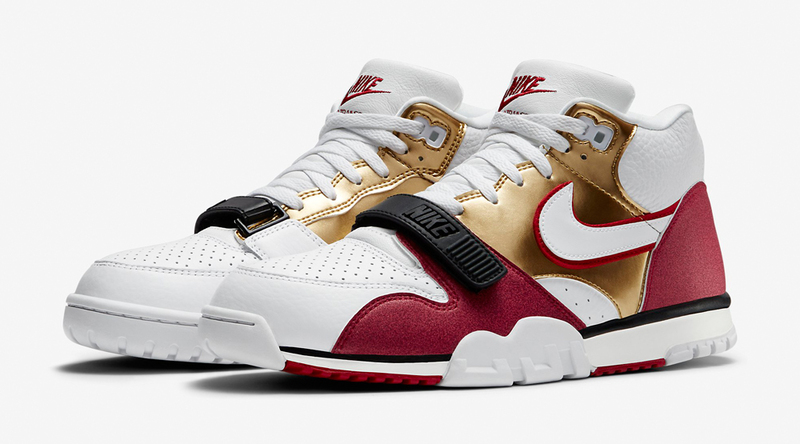 Nike Air Trainer 1 "Jerry Rice"